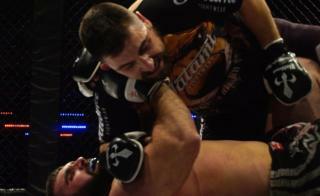 Mixed martial arts, or cage fighting, has established itself as a popular televised sport. Now, its amateur scene is quickly growing in popularity among working professionals. On any given day, the Troxy in London’s East End might play host to a music artist, business conference or even a wedding. Originally a grand cinema opened in the 1930s, it still retains much of its art deco style. On this visit, however, it has a very different purpose – the blood, sweat and testosterone-fuelled sport of mixed martial arts, or MMA. The sport’s amateur scene is thriving in the UK, attracting competitors from unlikely working backgrounds. Ready for his weigh-in, Ricky Graieri arrives in his usual work attire – suit trousers and a blue-checked shirt – several hours before his fight. A recruitment consultant by day, in the cage he will simply be defined by his size – heavyweight. He will be competing in MMA for the first time and – unusually for a new fighter – has been paired against a kickboxing champion in one of the night’s headline fights. 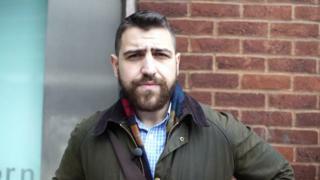 For many it would be a rather ominous start – but if Graieri’s nervous, he’s definitely not keen to show it. The Victoria Derbyshire programme is broadcast on weekdays at 09:00 GMT on BBC Two and the BBC News channel. 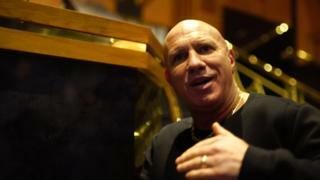 One man who’s much more forthcoming is Dave O’Donnell, the exuberant chief executive of Ultimate Challenge MMA (UCMMA) – which is staging the event. “Just stepping into the cage is one of the hardest things that anybody’s ever going to do,” he explains, as he deliberately turns his head to glare down the barrel of the camera lens for maximum impact. O’Donnell was originally a promoter for an MMA organisation called Cage Rage, featuring arguably one of MMA’s greatest ever fighters, Anderson Silva. After Cage Rage went bust, O’Donnell formed the UCMMA. He believes the sport is riding a wave of excitement, sparked by the Ultimate Fighting Championship (UFC) in the US. A recent title fight, which saw one of the sport’s biggest stars – Irishman Conor McGregor – losing to Nate Diaz was watched by millions around the globe. 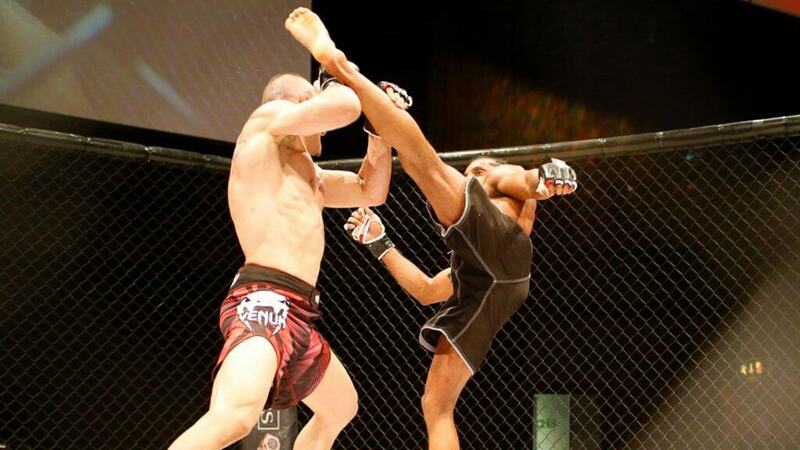 “There are more MMA gyms now in the UK than ever before. Gyms used to have a boxing ring, but now it’s a cage,” O’Donnell says. O’Donnell, perhaps ambitiously, envisages a landscape in little over 10 years’ time where MMA is utterly dominant. For Graieri, it’s personal reasons – rather than the sport’s growing prestige – that brings him to compete in “the Octagon”, as the cage is known. “I used to get beat up a lot as a kid, and I just felt afraid all the time. My mum was quite abusive… then when I went to school, I used to get beaten up. Graieri has overcome a severe back injury to take part in the event, having been unable to compete for the last two years. But it has not dissuaded him from wanting to inflict pain on others. In fact, he revels in it. It’s a sentiment not many other combat sports competitors would admit to, and while he stands by his views, he seems disconcerted when it’s suggested he may be alone in voicing them. Graieri becomes more distant in the lead-up to the fight. 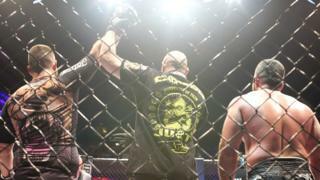 Most amateur cage fighters have trainers from the gyms they attend, and when Graieri’s joins him at the venue he is keen to focus solely on his preparations. Back in the arena, seats are beginning to fill with nearly 2,000 fans keen for the action to commence. As the fighters take the long, pre-fight walk to the cage the energy rises, peaking further as the bell sounds. Graieri is competing in the third-to-last fight, some four hours after the night begins. It’s a long wait. As he finally enters the cage, he hits his head with his gloves in the hope of gaining focus. The bell rings, and after taking some big kicks, Graieri takes control – pinning his opponent to the floor. After two minutes of fighting, he delivers what is known as the “ground and pound”, which involves him repeatedly punching his opponent in the face, and the referee stops the fight. 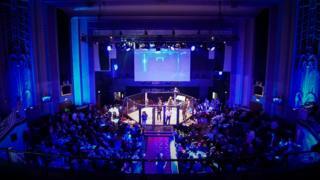 Graieri leaves to join his friends as the crowd’s cheers ring around the Troxy, and the headline fight begins. Despite the negative headlines often given to MMA, it is easy to see how it appeals to many. Its defenders say the sport is safer than many assume and a lot more organised. It is cage fighting, but it is not bare-knuckle boxing. To most fighters, it’s all about the pride and not about hurting an opponent. Do You Know What is the Next for Martial Arts Movie?